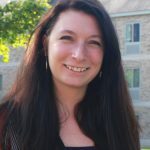 Meg Flaherty acts as Fisher’s new Title IX coordinator, since her start in September 2018. Flaherty grew up in Oswego, but her family is mainly from Buffalo. She attended Nazareth College for her bachelor’s degree in psychology. Flaherty took a gap year between undergrad and graduate school where she spent time in Virginia. She attended Buffalo State to get her master’s degree in student personnel administration. She is currently working towards her doctorate degree in human development in educational contexts at the University of Rochester. Flaherty has been trying to come back to the Rochester area for a while, which is why she thought Fisher would be a great fit. 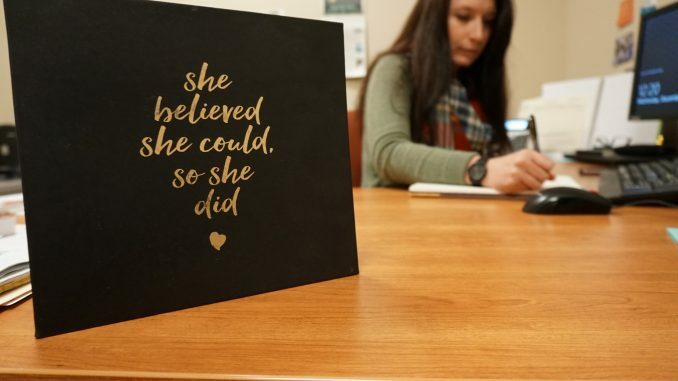 She has had a close relationship with Matha Thornton, vice president for student affairs and dean of students, which is why she was so eager to work with her. She loves being able to focus her professional energy at Fisher while finishing up her doctorate. She is a big fan of liberal arts schools, which is another reason Fisher was a draw. Flaherty says that what she wishes students knew about her role is that, “I think they should know that it’s my job to be impartial and objective. There is a whole piece of this that’s about maximizing students access to education.” She knows that students think that her job is a prosecutor but that is not the case. She is very welcoming to anyone who wishes to come talk to her.